I have some kind of thing for tamales. I really love a good tamale. 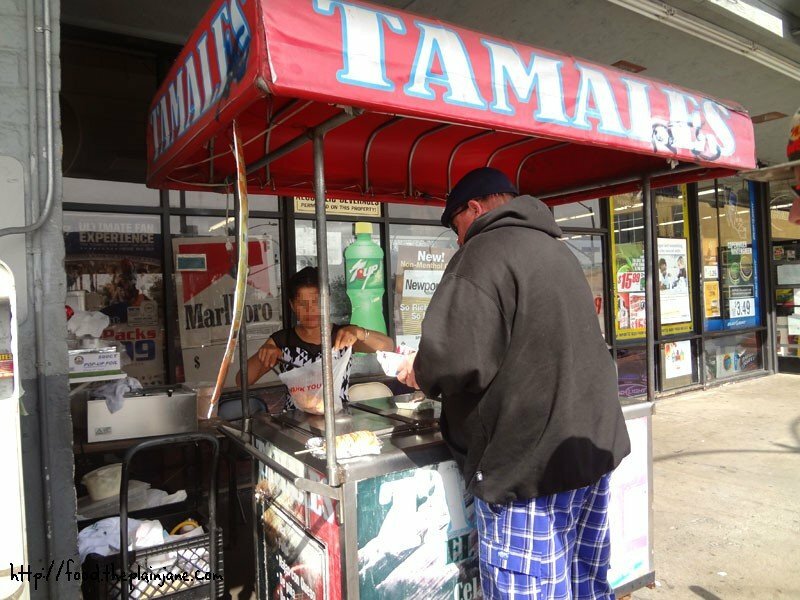 I used to go to a particular tamale vendor weekly at the farmer’s market in Scripps Ranch a few years ago – when to my dismay that vendor was gone and replaced with a “gourmet” tamale person who charged more and the tamales were NOT as good despite their snooty gourmet status. Gourmet does not equal good! It’s just a fancy word so you can charge people more… grumble. Fast forward to now. Over the weekend, after Jake, T and I went to see Monument’s Men (which was really good) I had a hankering for some tamales. Jake and I had spotted this tamale place near Texas St. and University Ave. in North Park and that’s where we headed after the movie. This place is located like a block away from Texas St. We parked in the laundermat parking lot right next to the storefront. There is usually no one standing here. You have to get their attention or call out or something. I went one time without Jake and didn’t see anyone and I didn’t bother to call out and I just left… because I’m chicken, I guess? I don’t know. But this time someone was ahead of us and started looking in the trays and that got the attention of whoever was back there. This is the menu for their tamales. They are all $2 each. We got three tamales and then went to another location to get three more to compare. 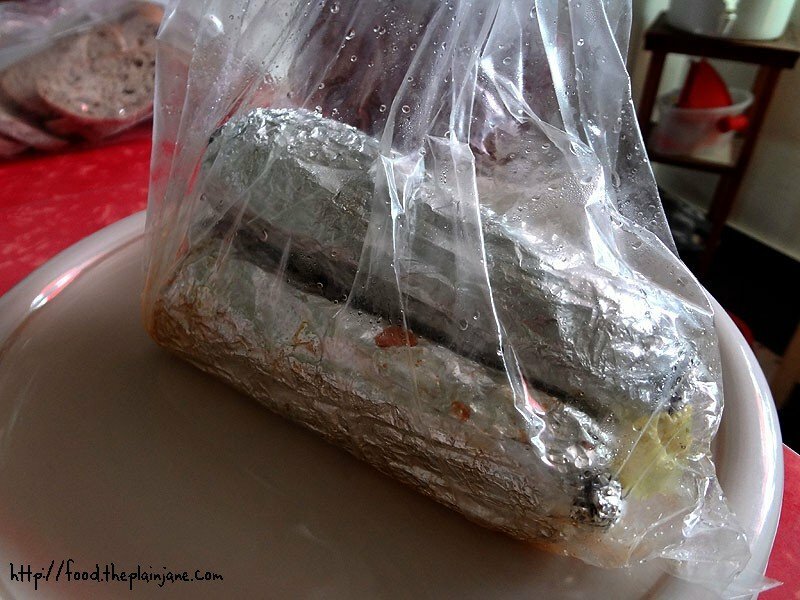 The tamales here are wrapped in aluminum foil and put into a plastic bag. Condensation quickly accumulated in the bag from the steamy warm tamales. 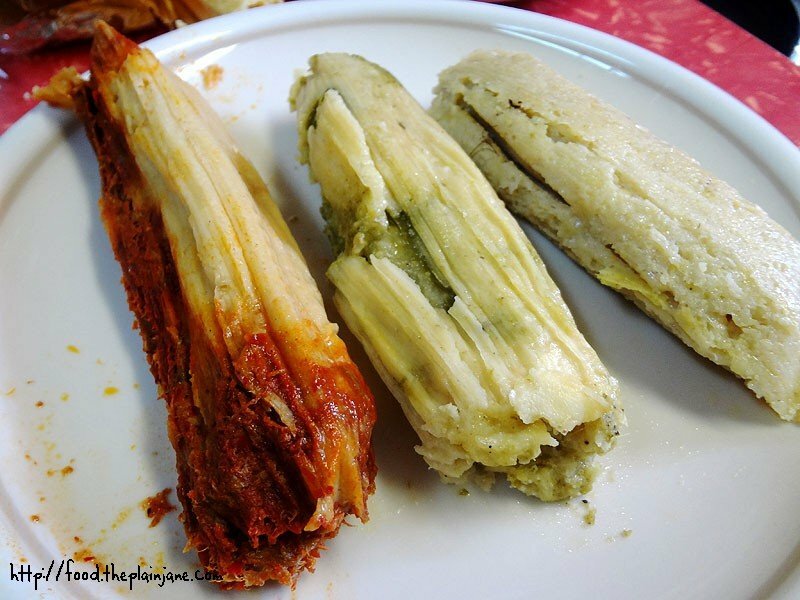 We got three kinds of tamales to try. 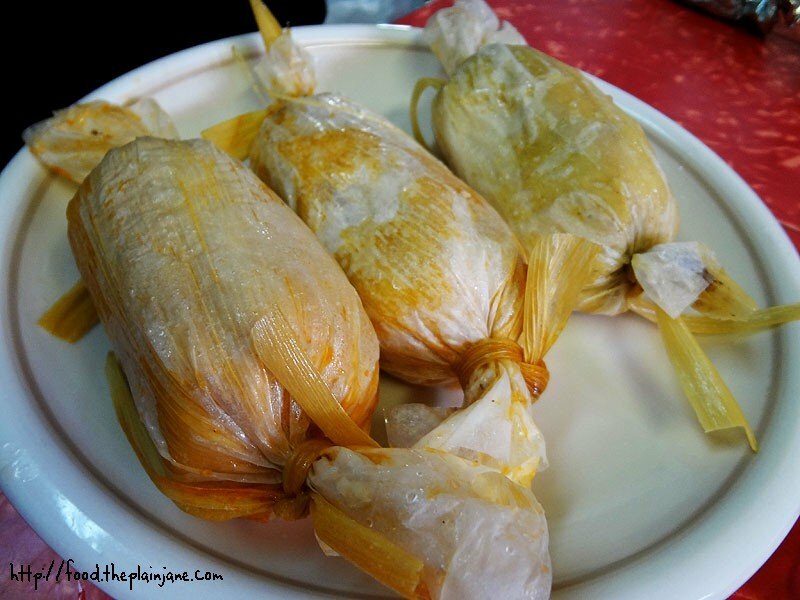 These tamales are like the traditional kind I usually see – long and wrapped in a husk. The pork tamale was T and Jake’s favorite of the bunch of six that we tried. I thought it was a little on the spicy side and I didn’t really like the sauce they put on the pork, but I think that’s why Jake and T liked it. The cheese and chili one had baby jack cheese in it that was melted really nicely. The chilies are placed on top and easier to avoid if you don’t like it spicy. The sweet corn tamales had a much different texture than the other two since the sweet corn is incorporated throughout the tamale (this one doesn’t have a “fillling” rather the whole thing has the sweet corn flavor with bits of corn throughout it). The masa was nice and tender and soft on all three of these. My favorite of the three was the cheese/chili because I really liked how the cheese melted into the masa. It made me a happy girl. Jake told me about this cart that he has seen before that I have never noticed. It’s also on University Ave. but it’s in City Heights, a few blocks west of I-15. It’s in the parking lot next to Auto Zone and this liquor store. There’s a lady who sits and mans the cart. They have a similar menu to the other tamale place except they also have banana wrapped tamales and a pineapple strawberry one. The tamales here are also $2 a piece. You can already see the difference with the exterior here. They are wrapped in paper and husk and tied on the ends. These tamales are much shorter and stouter than the ones we tried first. We again got pork and a cheese & chili. They didn’t have sweet corn here so we opted to get a chicken. The pork filling on this one made it my favorite – it was not spicy and the pork was very tender and shredded into pieces. The masa was very delicate and a bit more moist than the ones from Tamales d’Pepe. The cheese & chili one was way, way, way spicer as the chili was totally incorporated into the tamale and I couldn’t just try a piece with only cheese in it. The chicken one was not bad but not really memorable either. I preferred the masa on the other tamales but I liked the less-spicy pork version served here. 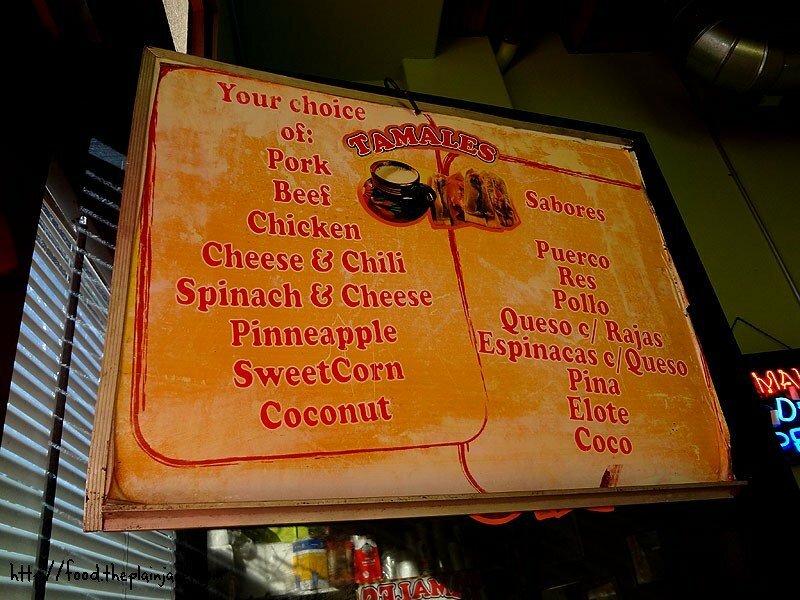 I’d come back to either (both) of these tamale places to try out the other flavors. I’m curious about the pineapple strawberry one as well – if it has a filling, or if the pineapple/strawberry is just incorporated into the masa like the sweet corn tamale was. 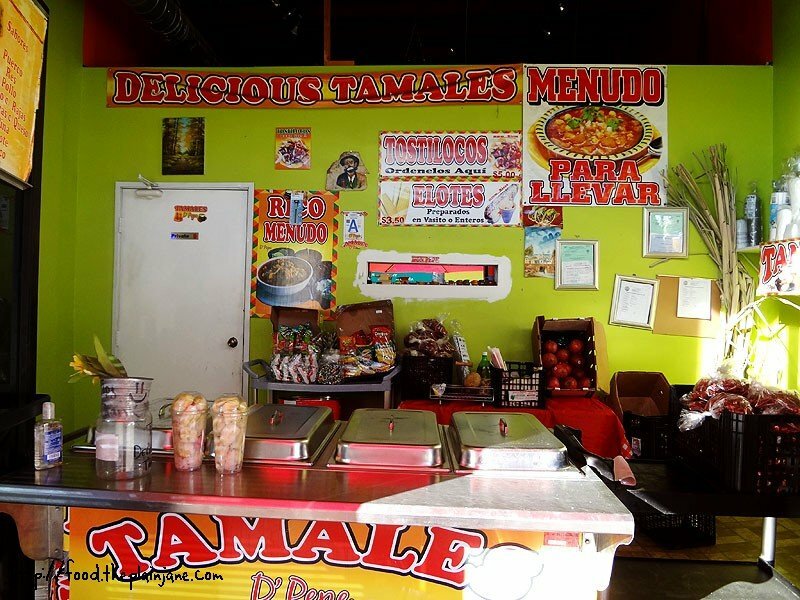 Do you have a great tamale spot that you think I should check out? Please, please let me know! I’m always on the search for awesome tamales to fill my belly with. Hi Lynn – Thanks for the suggestions! 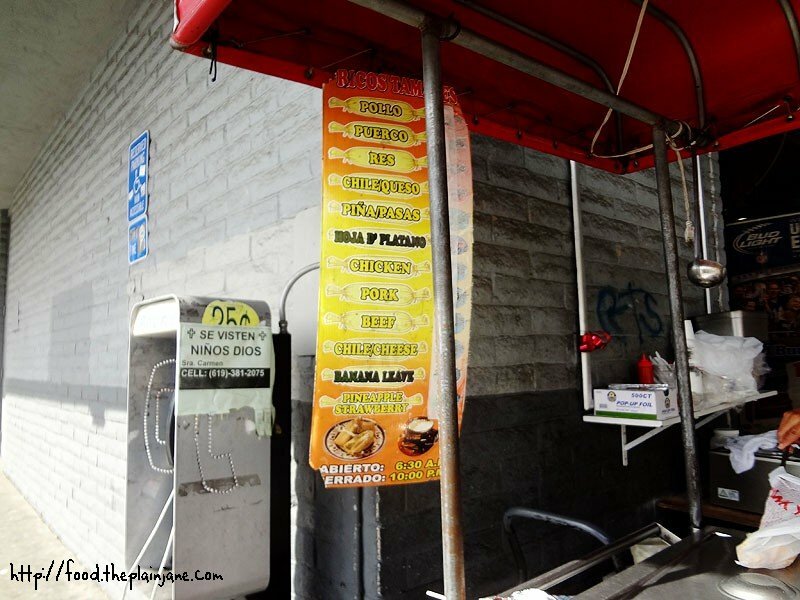 I have also had the tamales from Las Cuatro Milpas which I really, really like but … the line! Oy vey. I need to start stopping at all the little carts I see around City Heights to try more tamales! Yer making my mouth water! We used to go to Rosarito Beach a lot and there were two ladies who went door to door who made the best tamales I’ve ever had (outside of homemade). They had a veggie one with a spear of carrot and zucchini in it that was fabulous. I am moving back to town next month and am going to give these spots a try! Hi Marla – Oh, that sounds lovely! I wish someone came around door to door here selling their homemade tamales… I would totally buy some up! Hi Jinxi – Haha… we share a love of cornbread and tamales! Maybe we just really, really like corn then… 🙂 I did like the one at Las Cuatro Milpas but I’m trying to find places more uh, accessible without such a long line. I’ve seen more carts around and hopefully will get to trying out a few more of them for “research”. 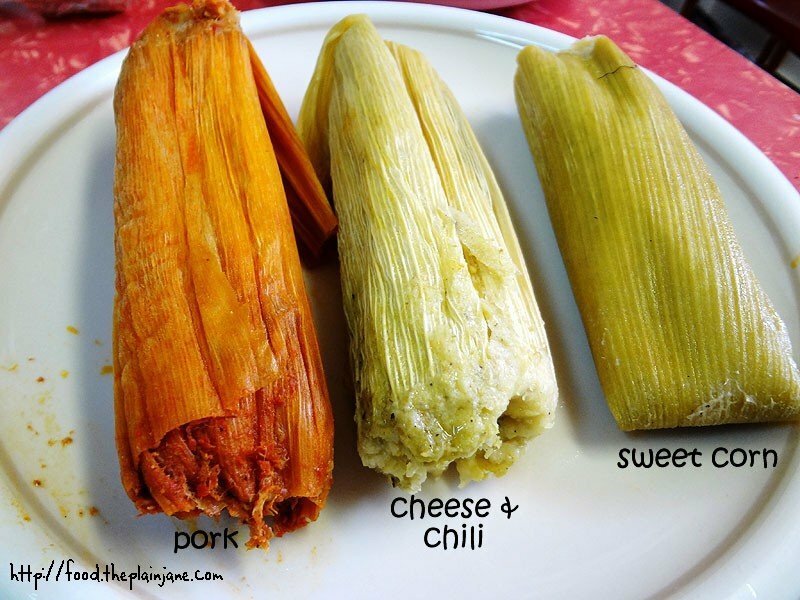 I’m always looking for great tamales and these look amazing. When I was in college, I used to buy that tamale pack from Costco because it was so easy to heat up 2 and call it dinner. After having enjoyed some proper tamales, I feel like I should apologize to my younger self. Hahah, oh Leanne, our younger selves forgive us, I’m sure. I’ve gotten store bought tamales, too, and in retrospect they are just not the same at all. Maybe someday I’ll actually attempt to make my own, but for now, I’m happy just trying to seek out more versions to find something tasty. 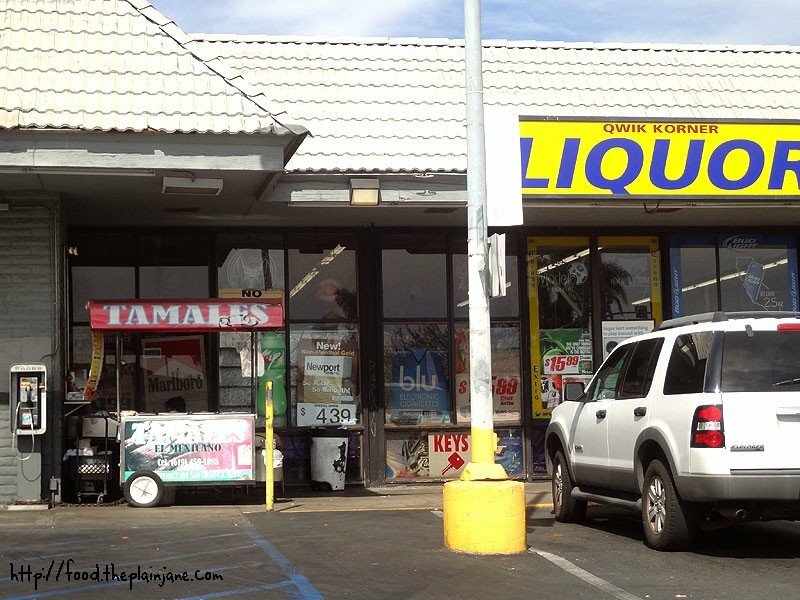 There is a tamale factory in Chula Vista on Main Street, Tamales Ancira (did a post on it back in spring 2011). 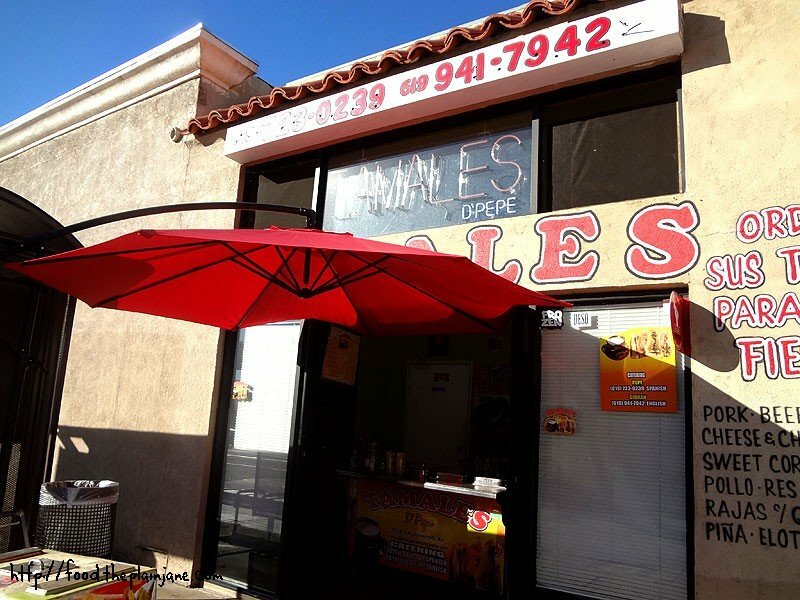 I like the tamales from Chico’s Bakery (at the north end of 3rd Ave in downtown CV)…they have chicken, beef, and a sweet one (which I didn’t try). Sometimes the Mexican church group where we got to church sells tamales after mass and ($2) and those are good too (beef, chicken, and corn). Hi CC – Thanks for the suggestions! We’ll have to check out a few of those places down in Chula Vista. I think I have seen a place called Tamales Betty in CV but haven’t been there, either. Hi J.S. – I haven’t been to the farmer’s market in awhile, actually. It does tend to cost a little more at the farmer’s market, but I’d still try them! I think I just need to wander around City Heights and look for the little carts/stands. 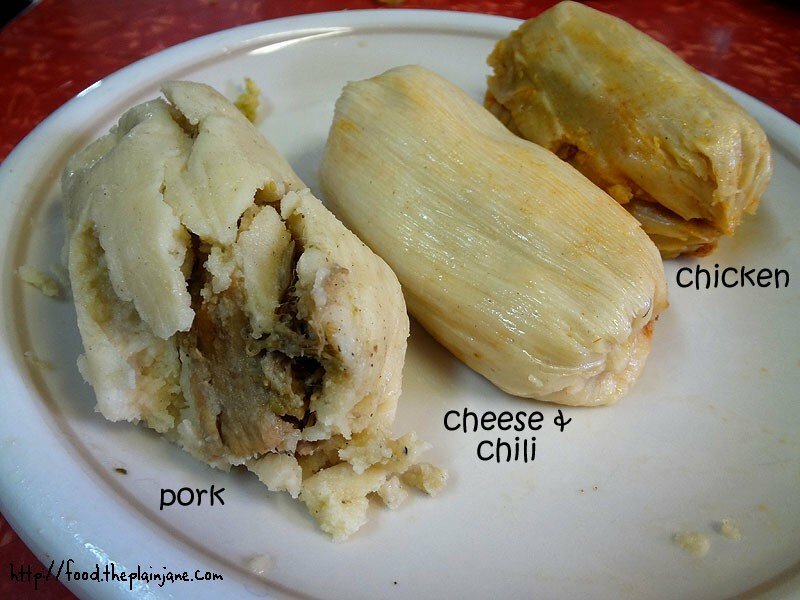 YIKES, how can it be so difficult to find perfect tamales in San Diego county?? I would expect a plethora! Keep the suggestions flowing!